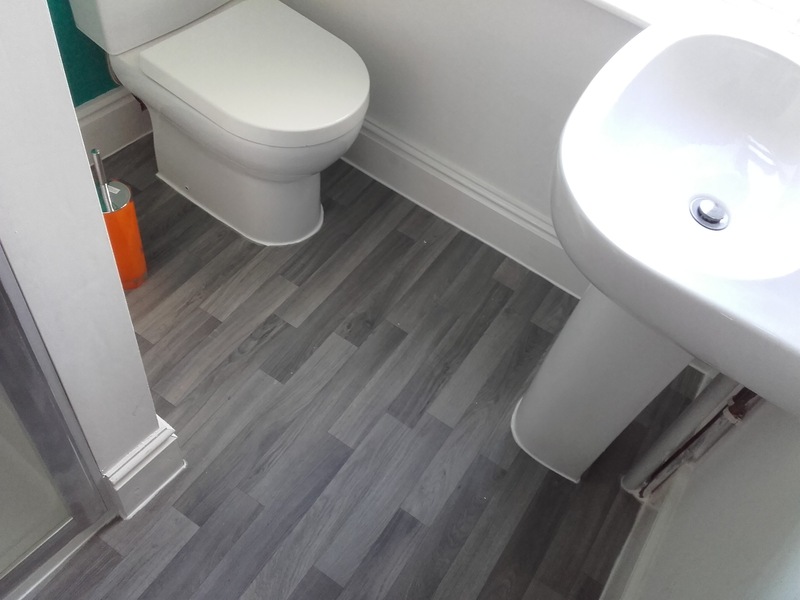 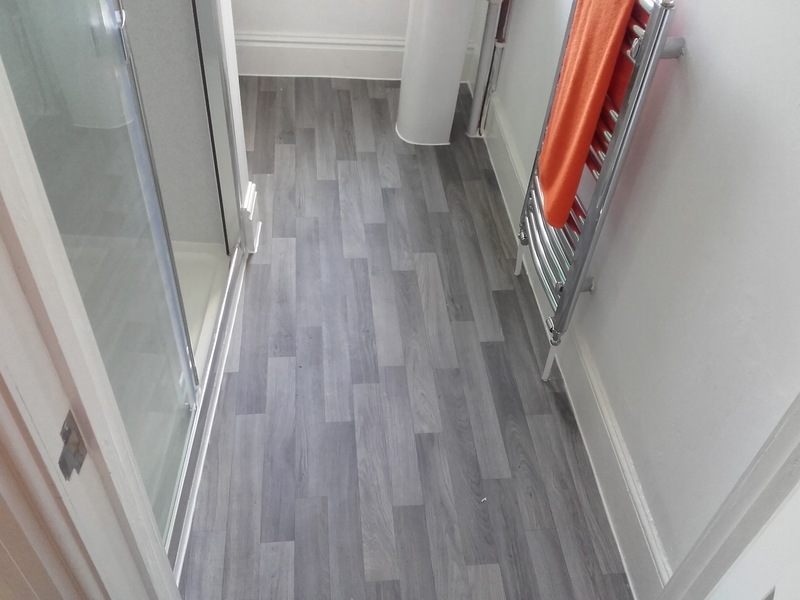 This student property had new bathroom suites installed and were freshly decorated, the finished touch was a new floor covering. 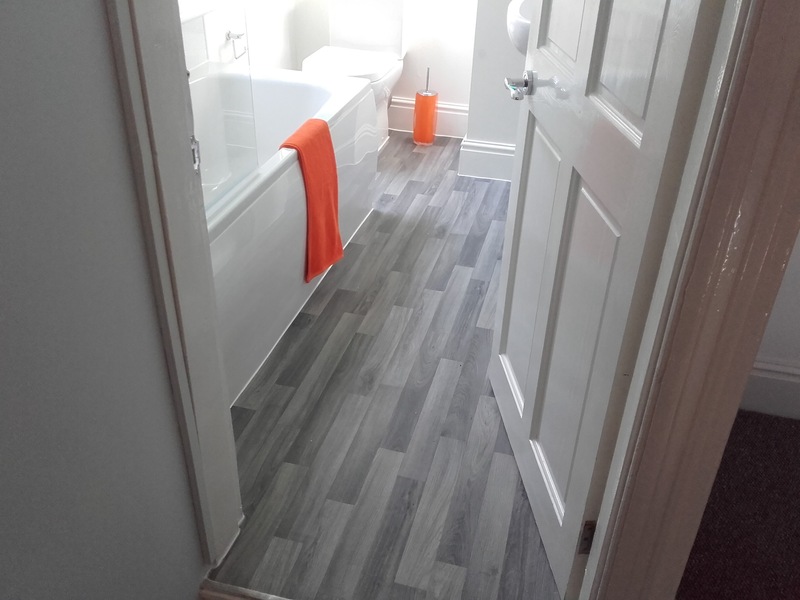 We were contracted to install this quality wood-effect vinyl covering. 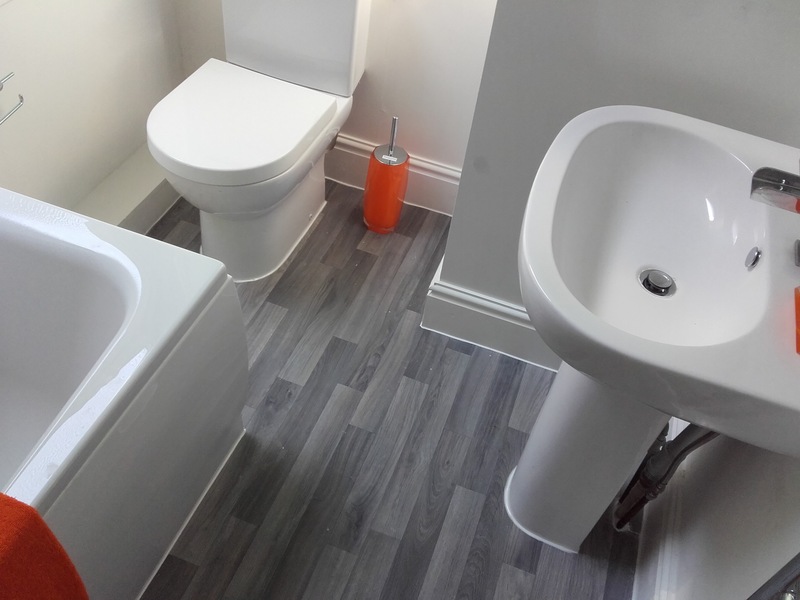 As the white goods had already been installed in all three bathrooms, we had to work around them taking our time to measure thrice and cut once!